BUKIT LANJAN: Selangor Sultan acts against extremist Zamihan! Daulat Tuanku! While Johor’s Sultan Ibrahim Ibni Almarhum Sultan Iskandar took the lead by taking concrete action against extremists for tarnishing the image of Islam, Selangor’s Sultan Sharafuddin Idris Shah has also stepped up with an equally hard stand to help maintain national unity and harmony for his subjects or rakyat (people). PETALING JAYA – The Malay Rulers are concerned that the unity and harmony in Malaysia are eroding as the nation faces an onslaught of racially controversial issues. “In recent weeks, the actions of certain individuals have gone beyond all acceptable standards of decency, putting at risk the harmony that currently exists within our multi-religious and multi-ethnic society,” said Keeper of the Ruler’s Seal Tan Sri Datuk Seri Syed Danial Syed Ahmad in a statement on Tuesday. “The Rulers are of the opinion that the damaging implications of such actions are more severe when they are erroneously associated with or committed in the name of Islam. “As a religion that encourages its followers to be respectful, moderate, and inclusive, the reputation of Islam must not ever be tainted by the divisive actions of certain groups or individuals which may lead to rifts among the rakyat,” the statement added. He said Malaysians must continue to follow the core principles embedded in the Federal Constitution and Rukun Negara which was drafted on the bedrock that the diverse religious and ethnic backgrounds in Malaysia must be respected. “(The Rukun Negara) must continue to serve as a compass to all parties, be they leaders, government officials and citizens of our country. “Unity among Malaysia’s multi-ethnic and multi-religious people is key to ensuring the country’s ongoing stability,” he added. 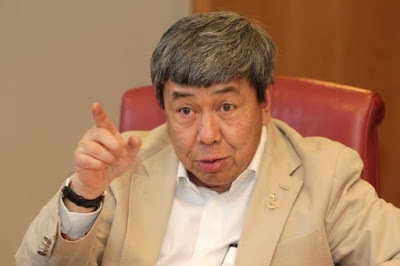 – ANN"
Gerakan Deputy Speaker Syed Abdul Razak Alsagoff said: “The issue is no more just about a Muslims-only launderette or about Muslim’s having their hair trimmed by non-Muslim barbers. “It is about extremism and religious intolerance. It is about the standing of the monarchs as head of religion and state. It is about the Federal Constitution,” he added. Syed Razak said Sultan Sharafuddin’s not only removed Zamihan as a preacher in his state – Daulat Tuanku! - he also announced two new measures: that all religious talks in mosques and suraus in Selangor be recorded, and the sound from religious lectures, other than for the azan (call to prayer) and Quranic recitation, be limited within the vicinity of the mosque. “This prohibition is to protect the image of Islam that gives importance to the well-being of the general community, ”the Royal Court of Selangor secretary Hanafisah Jais said in statement. Syed Razak said all law-abiding Malaysians who cherish, treasure and value communal harmony and unity should have no qualms about giving their undivided support and loyalty to the Malay Rulers. “After all, we pledge our loyalty to country and King. They have acted and spoken, we must respect and obey their command,” he added. PETALING JAYA: The Sultan of Selangor has instructed the Selangor Islamic Council (Mais) to revoke the preaching credentials of Zamihan Mat Zin. Royal Court of Selangor secretary Hanafisah Jais said Sultan Sharafuddin Idris Shah had consulted the council on Monday before issuing the instructions to Mais. Hanafisah said Mais had been instructed to remove Zamihan from the Selangor Tauliah Committee. "This action follows a religious lecture by Zamihan that contained words that are racist, ill-mannered and excessively critical of the royal institution. She said that Sultan Sharafuddin also instructed that lectures at mosques and surau be recorded for monitoring purposes. Sultan Sharafuddin also instructed that the volume of loudspeakers during lectures be lowered, except for the call of Azan and the recitation of Quran verses, she said. “The Malay rulers are of the opinion that the image of Islam as the federal religion is a religion that should encourage its followers to be tolerant, moderate, inclusive and not polluted by extreme actions,” said Hanafisah. She added that Sultan Sharafuddin reminded all Selangor citizens to respect the main principles in the Federal Constitution for the country’s harmony and peace. 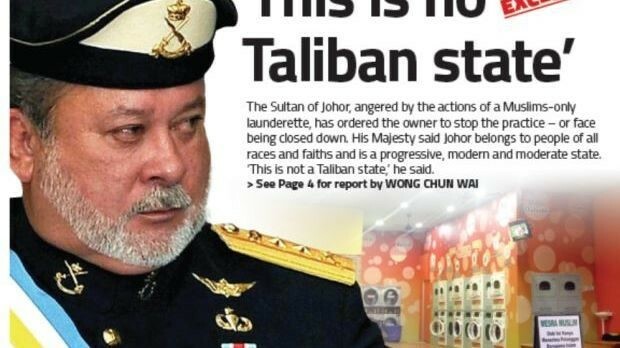 Zamihan has come under fire for allegedly criticising Johor Ruler Sultan Ibrahim Ibni Almarhum Sultan Iskandar over the Muslims-only launderette issue. 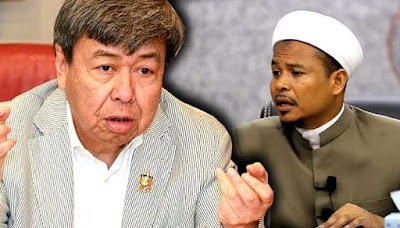 PETALING JAYA: The Sultan of Selangor today revoked the religious teaching credentials of controversial preacher Zamihan Mat Zin, and ordered mosques and suraus in the state to heed two new measures to protect the image of Islam in the state. 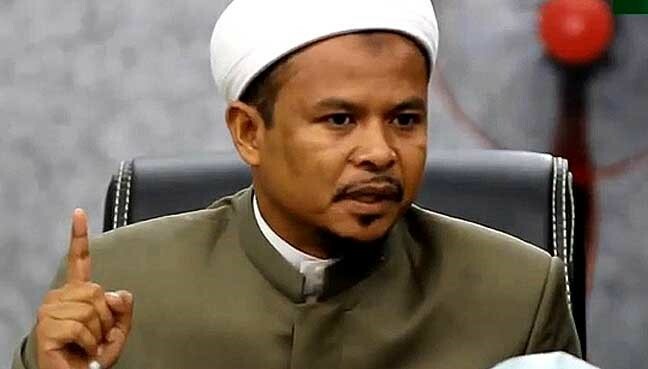 Descibing Zamihan’s speech on Oct 7 at a mosque in Shah Alam as “racist” and saying that it “lacked manners”, a statement from the Selangor palace said Zamihan had also gone overboard in criticising the royal institution in a mosque with royal status. Zamihan, an officer of the Malaysian Islamic Development Department (Jakim), had during a lecture at Masjid Diraja Tengku Ampuan Jemaah in Bukit Jelutong, Shah Alam, criticised Sultan Ibrahim Sultan Iskandar of Johor over his ultimatum to a laundrette in Muar to close down for having a “Muslim-only” policy. Defending the Muslim-only policy, Zamihan also made derogatory remarks about the hygiene of Chinese Malaysians. He was subsequently arrested for sedition before being released on Saturday. In strongly-worded comments last weekend, Sultan Ibrahim called Zamihan an “empty tin can without any brains”, and ordered Johor Islamic authorities to sever ties with Jakim. The Selangor palace today also removed Zamihan from the state’s council to vet religious preachers. The ruler also announced two new measures: that all religious talks in mosques and suraus in Selangor be recorded, and the sound from religious lectures, other than for the azan (call to prayer) and Quranic recitation, be limited within the vicinity of the mosque. “This prohibition is to protect the image of Islam that gives importance to the well-being of the general community,” the statement added. PETALING JAYA: The Johor Sultan called him “arrogant” and an “empty tin can without any brains” for his controversial religious views, but Zamihan Mat Zin remains defiant by posting his protest over a beer festival in Johor while being hailed as a “warrior of Islam” by his fans. The Malaysian Islamic Development Department (Jakim) officer, who was detained for allegedly criticising Sultan Ibrahim Sultan Iskandar of Johor, posted a series of messages of his “struggle” soon after his release on Saturday. He lashed out at the followers of Ahmadiah, a sect ruled as deviant by the National Fatwa Council. He posted an image of a poster supposedly of the Jemaah Ahmadiah Muslim Malaysia annual assembly, and urged the public to circulate their protests against the event. The LGBT (lesbian, gay, bisexual, and transgender) community was the target of another of his posts on Facebook. He also referred to objections by a group known as Majlis Ayahanda Johor to a beer festival held at a hotel in Johor Bahru last weekend. “We unite to defend Islam. This is a big issue, we are duty-bound to oppose, salute to the Islamic organisation that upholds the truth,” said his post. Zamihan, 41, who leads the Pertubuhan Ahli Sunnah wal Jamaah Malaysia (Aswaja) NGO, was picked up by police in connection with a talk he gave in a Shah Alam mosque on Oct 7 that appeared to criticise Sultan Ibrahim for rebuking a “Muslim-only” laundrette owner in Muar, Johor. The state ruler, who described the laundrette’s policy as extremist, ordered the owner to open his shop to all races or be shut down. Zamihan was also criticised for suggesting non-Muslims were “unclean” and whose clothes should not be mixed up with those belonging to Muslims. After a video clip of his talk went viral on social media, Zamihan apologised to the Johor Sultan but the police detained him for investigation under the Sedition Act. 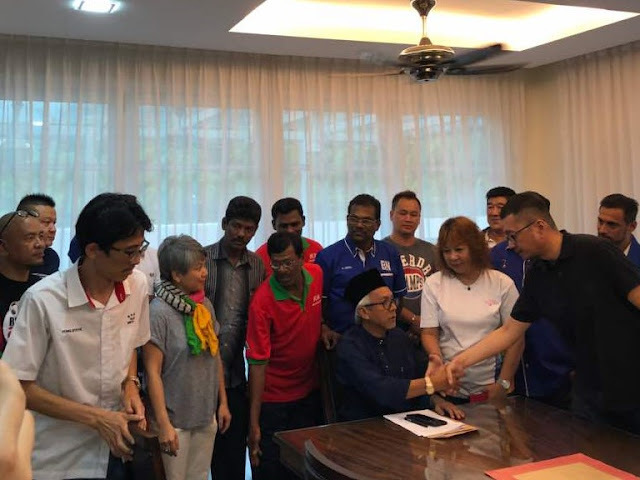 Zamihan’s supporters, however, appeared unfazed by the criticism against him, flooding his Facebook page with messages hailing him as a “warrior of Islam”. They welcomed his release in their comments, including some that appeared to question the Johor Sultan’s stand on the “Muslim-only” laundrette. 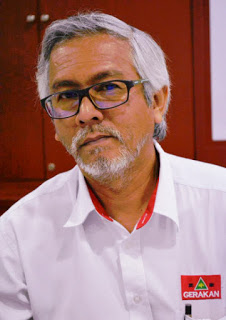 “Beer festival is OK because it is for unity… ‘Muslim-only’ laundrette is not because it damages unity… Muslims should understand and digest this thoroughly,” wrote Facebook user Mohd Noor Bin Idris. “Empty tin has no alcohol. Tin that is not empty contains alcohol,” said another, Subri Mohamad."